Are you as hopelessly in love with advertising as we are? I confess. I'm an ad nerd, and proud of it. Just take a look at the picture below, from 1995. (Sorry, Fred, Rui, Barra, Leandro, Cassio and Paulo, for posting this without your permission, but you guys never would have allowed me if I had asked.) That was my first year in Cannes. I paid for the trip out of my own pocket and slept on the floor of a friend's room. We thought we had to dress up for the occasion, but we were the only ones wearing suits and ties. I'm second from the left. I borrowed an oversized beige suit from my dad and bought a Mickey Mouse tie. After all, I was "creative." Look at Rui, next to me, holding a fork, just waiting for free food. Ad nerds. I'd spend half of my junior writer's salary on expensive, imported One Show and D&AD annuals, and I would pay for them in monthly installments. I didn't have money to buy food and clothes, but I knew every single Little Caesars ad from Cliff Freeman. I could cite every headline from The Economist campaign. I'd do unboxing with the advertising annuals before unboxing was even a thing. I would carefully take off the plastic wrap and inhale that unattainable world. Ah, the new ad annual smell. When I was a junior writer, we used to play this nerdy ad game. We'd choose two creatives to compete against each other—Paco vs. Manolo, for example. 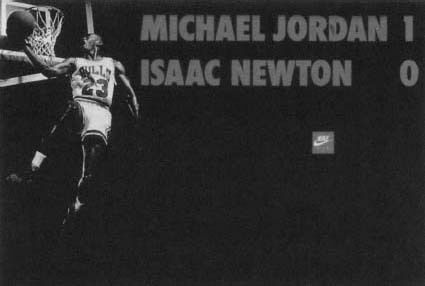 Someone would shout a famous ad out loud, such as, "Michael Jordan 1, Isaac Newton 0"! The two competitors would run toward the bookshelf to see who could find it first in all those ad annuals. "Found it! D&AD 1993, page 108!" (You can check if you want.) "A new record for Paco! Five seconds!" Today, I don't have time to be quite the ad nerd I used to be. 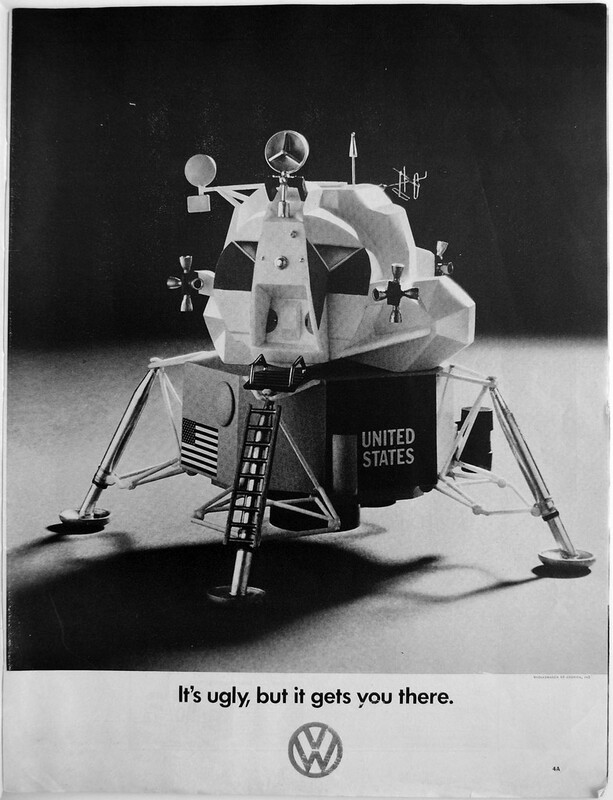 I'm an ad nerd emeritus. I need to write long motivational emails, travel around the world and have Negronis with CMOs. I miss the good old days of knowing every writer and art director, every campaign, from every agency, from every country, ever done. Fortunately, I work with a bunch of ad nerds. I love working with them because, unlike much of our industry lately, they're not questioning the future of advertising. They think advertising is the coolest thing ever. On the weekends, they don't play soccer, they don't play the guitar—they get together and come up with ideas. Not because I ask them to, but because they want to. They don't have a hobby; advertising is their hobby. They're not waiting for Facebook or Google to call them, and they think Madison Avenue is cooler than Silicon Valley. I know what you're thinking. "But you need to have a life outside advertising. You need to read, watch movies and travel and all that. If you don't have inputs, you can't have outputs, blah blah blah." We all know that. I'm not saying don't have a life. Go ahead and have a great life. But ad nerds experience their life through the lens of the brands they're working with. For every life experience, they're asking themselves, "Could I use this for an ad?" It's becoming harder and harder to find people who truly love this business. Especially young people fresh out of ad school. A lot of them are so cynical about advertising. They lack passion, a spark in their eye, and they simply don't like advertising that much. They don't know which agencies are doing the best work. They don't know which ideas won a D&AD Black Pencil this year. They don't know who Joe Pytka is, let alone Joe Sedelmaier. They couldn't tell even one classic Volkswagen ad from Bill Bernbach by memory. Not "Lemon." 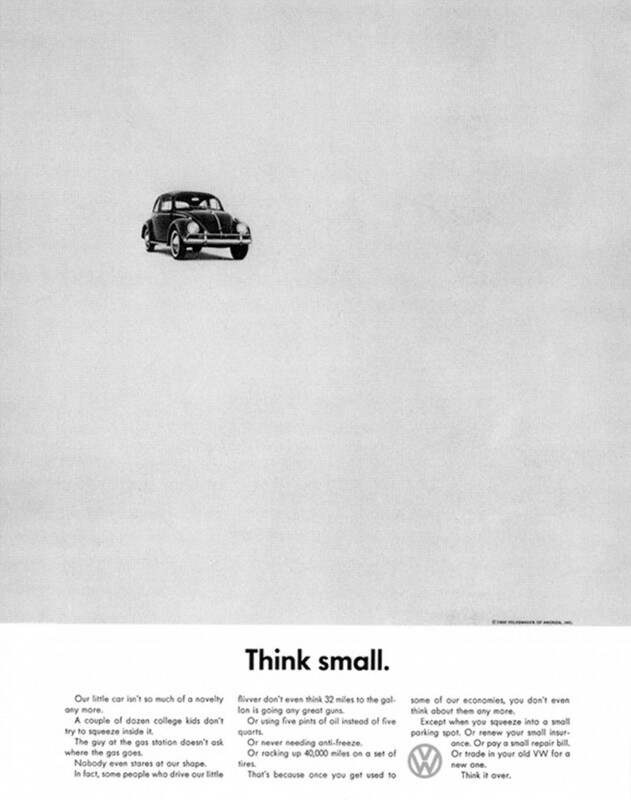 Not "Think small." Not "It's ugly, but it gets you there." Heck, they don't even know who Bill Bernbach was. They haven't heard about David Ogilvy and the "The man in the Hathaway shirt." 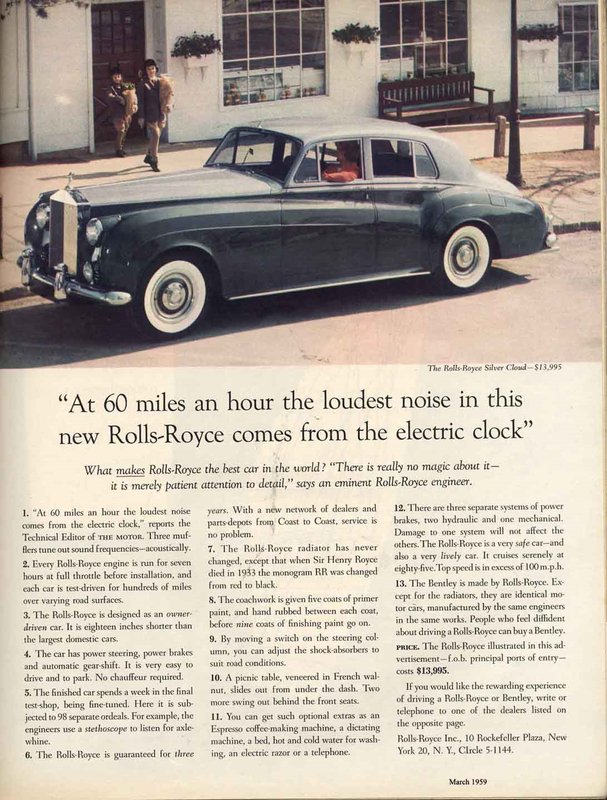 Or the headline, "At 60 miles an hour the loudest noise in this new Rolls-Royce comes from the electric clock." They haven't heard of Fallon McElligott. Or the Swedes. They don't know Jerry Della Femina wrote From Those Wonderful Folks Who Gave You Pearl Harbor. They haven't heard about Mike Hughes, Amil Gargano, Gary Goldsmith, Mary Wells, Hal Riney, Jay Chiat, Paul Arden, Nancy Rice, Steve Dunn, Dave Dye, Helmut Krone … I could go on and on. They would fail miserably in advertising history. The situation is so bad that there are some clients who are more passionate about advertising than a lot of creatives out there. These clients read and watch everything. They are ad nerds themselves. And proud of it. Don't get me wrong; these clients also care about quarterly results and same-store sales just like other clients. But they also understand this is a creative business, and that creativity drives results. They're fluent in both results and creativity. Because these clients have seen everything, and have developed their own criteria, they can demand more and produce great, innovative work. 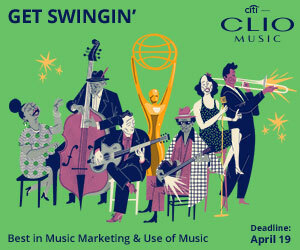 I believe our industry desperately needs more ad nerds across the board. From both sides—agency and client. So, take off your thick glasses with the white tape on them, look in the mirror, and ask yourself: Do I like advertising? Do I love it? Do I want to marry it? Do I want to spend the rest of my life with it? Until programmatic do us part? If you answered yes to all of those questions, you might be an ad nerd. It's OK, you're not alone. But if you haven't watched Mad Men at least three times, don't even bother. Anselmo Ramos is co-founder and chief creative officer of GUT.